This extension automatically syncs customer data from WooCommerce into your CRM. Leverage – Use customer data that you’re not yet using! 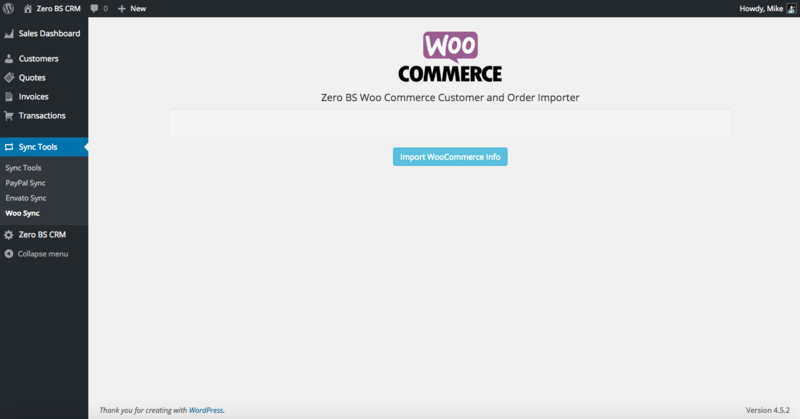 The Woo Sync extension is incredibly easy to use, just enter your WooCommerce information in the settings page, and then hit import. Any sales that you make through WooCommerce are automatically added to your CRM as customers with an associated transaction. This can be used with any of the other tools and power of the CRM such as Sales Dashboard or Mail Campaigns, (or just the ZBS Core). How often do you reach out to your old customers? Someone who has spent money with you is very likely to buy again in the future. But that can only happen when you have your customer information to hand. Once Woo Sync has imported your customers and transactions, ZBS opens up a world of analysis! Find out who your biggest customer is, or identify that quiet champion who always buys your stuff! Hit Import and your customers and transactions will be added to your CRM. 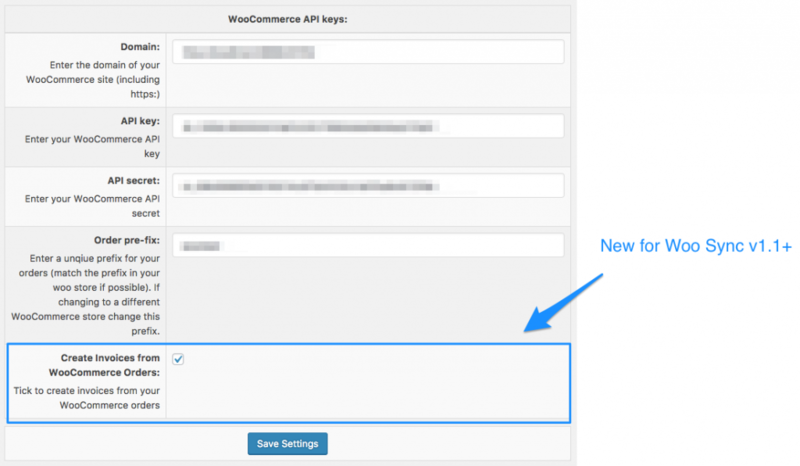 You only need to do this once, after that ZBS’s Woo Sync automatically keeps your CRM up to date with your ecommerce site. You make a sale –> The customer and transaction show up directly in Zero BS CRM. P.S. Want fancy sales graphs and deep analysis on your customer base? This works great with our CRM Sales Dashboard. Using WooSync you can choose to create invoices for your customers so they can access them from their client portal. It uses your WooCommerce Products to generate itemised invoices and assign them to your customers.. This saves time and stops you having to manually generate invoices when your customers ask for them, your customers simply log on to their client portal and they can see all their invoices, for all their orders. 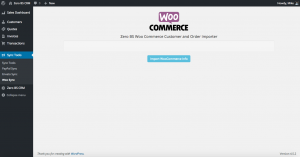 Customers are paying via your WooCommerce setup – this extension syncs their data & payments into Zero BS CRM Automatically. From there you have the full power of our CRM to make use of your customer data. Tag customers, analyse them, spot profile trends, VIP’s, or problem-customers. Email them in bulk or simply serve them better! Manage your clientele at a high-level without the cost. 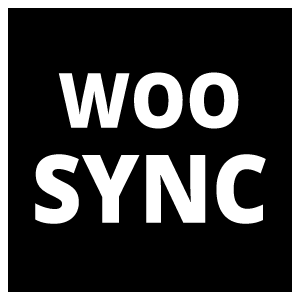 Using Woo Sync your ZBS is kept up to date so you can easily check on customer orders and payment history. See aggregated data – Which are your VIP customers? Fully automatic – life is too short for double entry! Note: If you use PayPal, you might also find PayPal Sync useful. 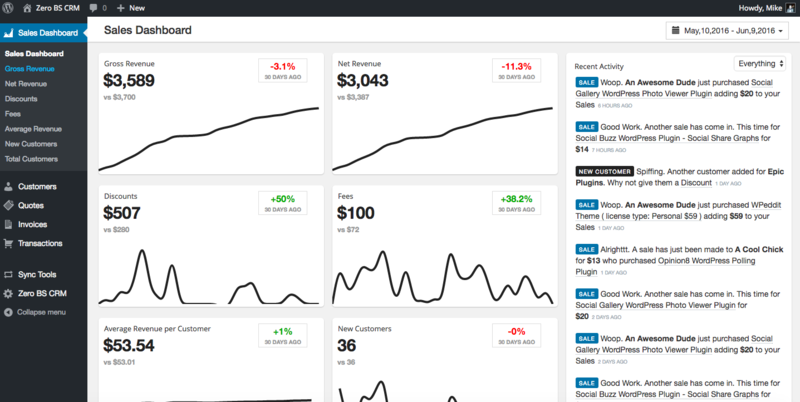 Note: If you want to use this and Sales Dashboard (for epic metrics), your cheapest option is the Entrepreneur’s Bundle. Woo Sync is included in our Bundles - join the other happy entrepreneur's, save $$$ per year and get instant access to extensions!